From Bleedingcool.com I learned that Netflix has canceled its flagship series House of Cards , fallout from the recent allegations of inappropriate sexual overtures allegedly made by to a then 14 year old actor Andrew Rapp. Season 6, forthcoming, will be its last.It would appear that we're in for sustained period of all manner of celebrity--movie star, mogul, director, politician, novelist, poet, artist, professor, corporate leader--being exposed as sexual predators and over all creeps. Spacey maintains, so far, that he was too drunk to remember anything inappropriate going on with a 14 year old Andrew Rapp, mentioning that he was drunk and things are hazy, but the damage is done to his career, starting with House of Cards,his Netflix political drama. His character is a man who does anything in his power to achieve his ends. 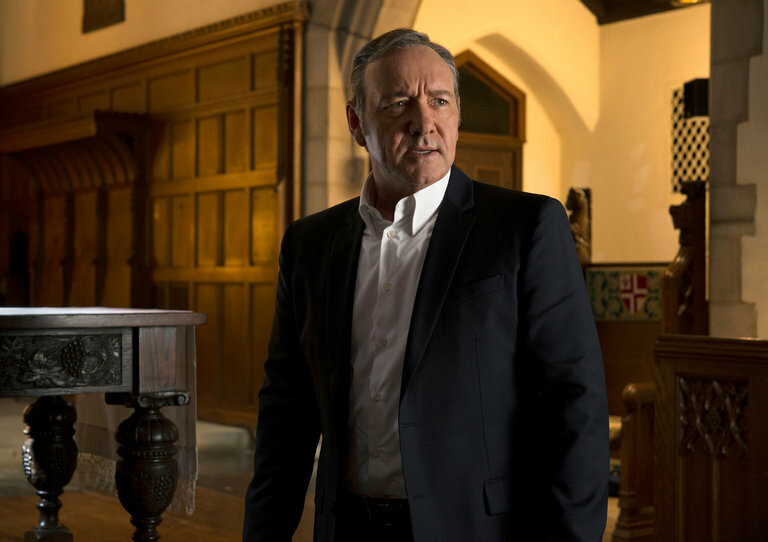 The character , Frank Underwood, has wracked up so many outrages that I was worried this show would go on forever without this fictional being made to pay for his sins. Seems circumstances developing from real life, the realm that, in itself, serves justice in unexpected ways on a time schedule not disclosed to those of us impatient for payback; Spacey has lost his hit show and perhaps his livelihood, at least for a while. How all this pans out in the long run is anyone's guess, although it's a predictable outcome of all these allegations that the media, social, print and broadcast, will move onto other less exploited outrages they can in turn cover with sensational headlines and little sympathy or comprehension.Even as reader attentions are drawn elsewhere, there remains a hope that this is not just another passing controversy and marks a profound change in the culture, which is that sexual abuse will not tolerated by anyone in any corner of our land, by anyone, anywhere. One hopes this evil stops here. So the question becomes whether , after more revelations, exposures and screaming headlines, will this topic be dropped as interest wanes, or are we willing to change the way we treat each other? I am not optimistic.